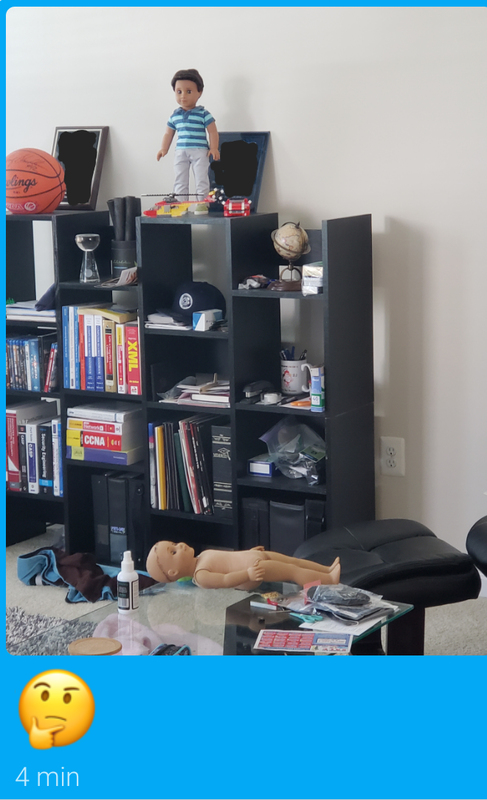 I'm thinking I may need to break down my reviews into multiple posts, because June and July have been a month of awesome deals, buys, and raffles! 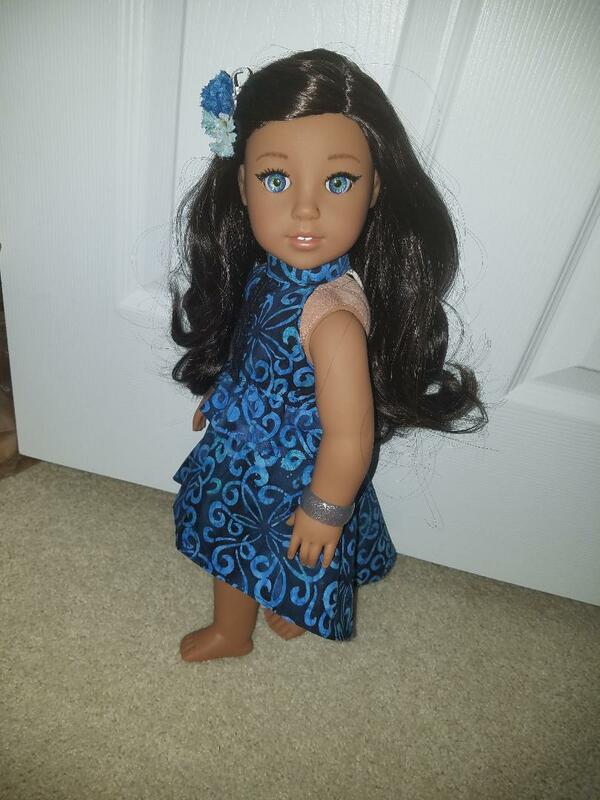 First up, some lovely outfits from Mary Campa's Sashali designs! 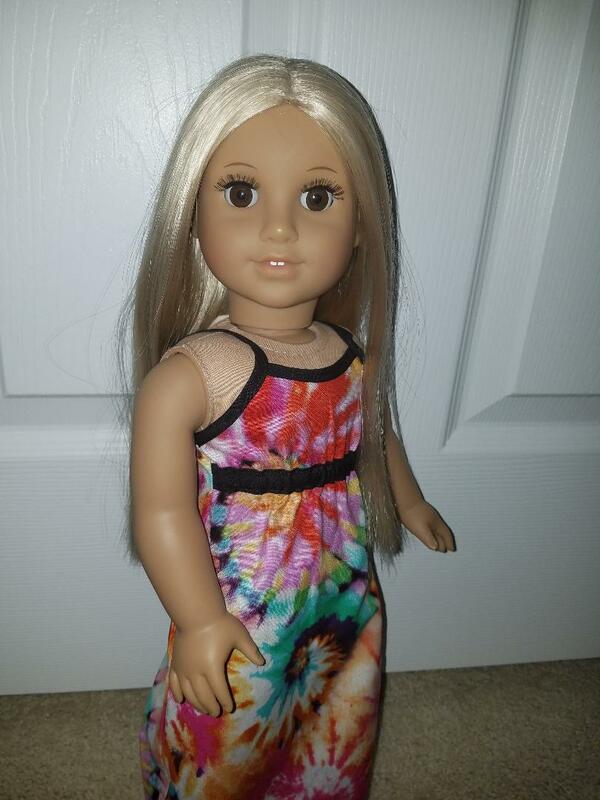 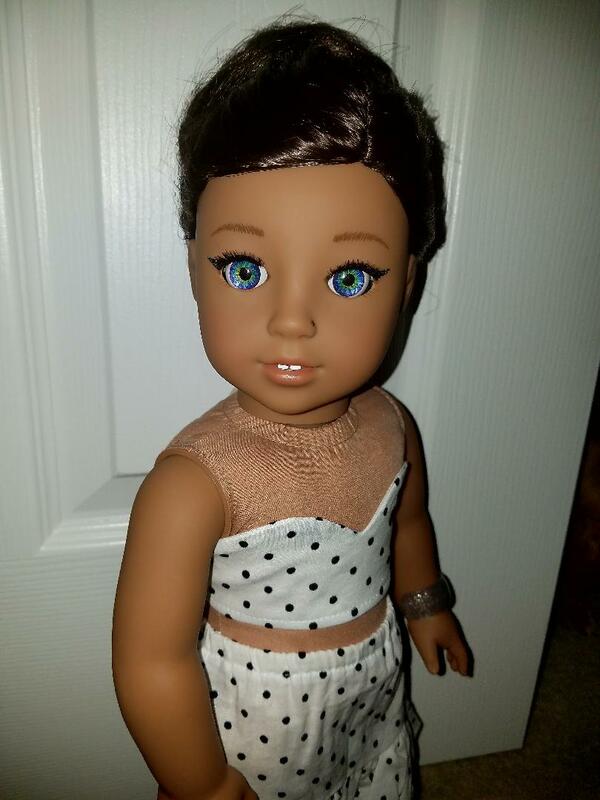 Effie is a custom light skinned Josie mold with MG eyes and Zazou Doll wig. 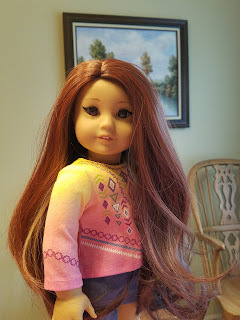 Effie immediately pounced on this lovely number, declaring it made for her. 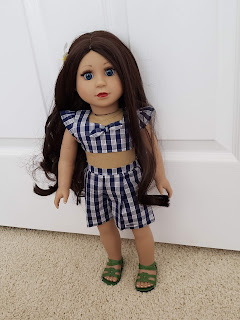 I love this 2 piece outfit, and the face that most of Mary's designs are in 2 pieces, which means more versatility for play and display! 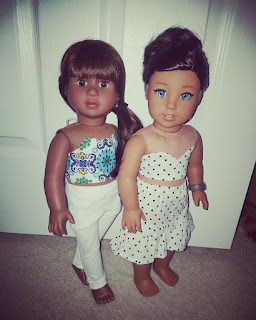 Dahlia and Natalia (I seem to like names that sound like these, huh? 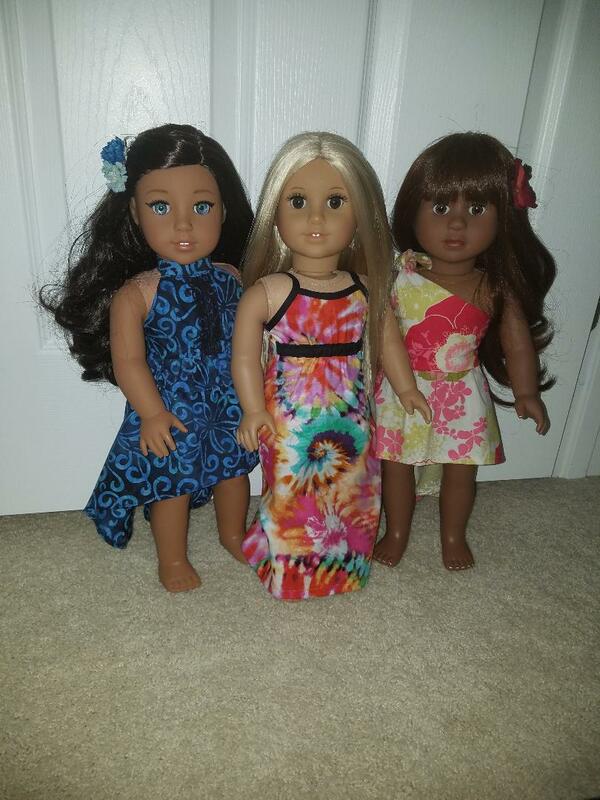 Dahlia, Natalia, Delia June, etc) took turns wearing this outfit, as you will see in the group photo below. It felt very summery and Julie-esque to me. 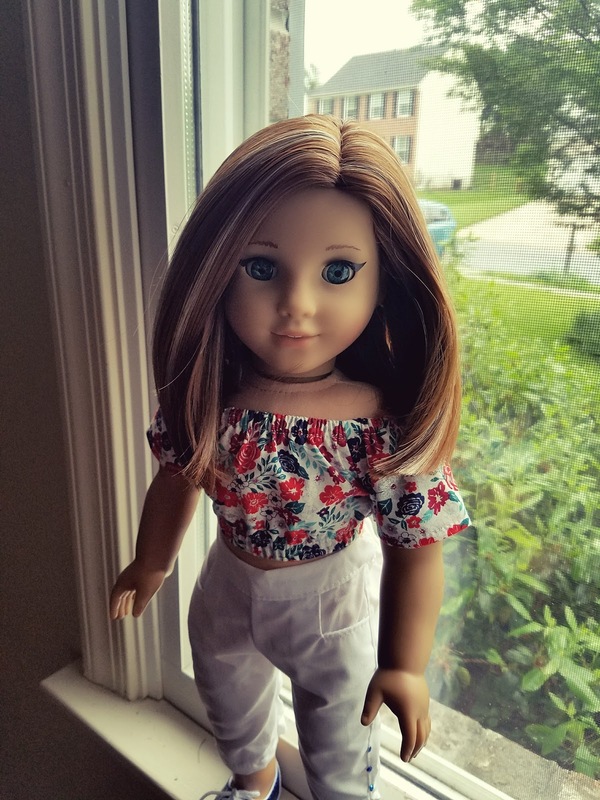 It's an adorable little set that I can see having a lot of fun with this year. 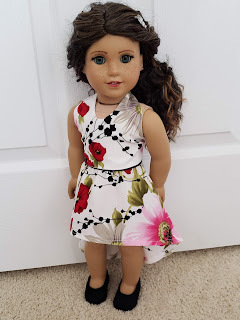 I bought the dress you see in the photos below, and Mary was so sweet to make a little halter top with the left-over fabric! 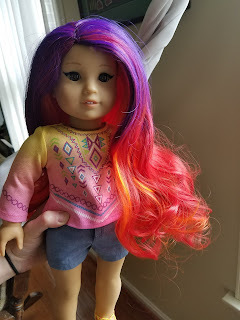 She does this quite often, which means surprise goodies in your packages from her. Nevaeh decided to finish off this photoshoot with American Girl Nanea's Palaka outfit... since she is my gorgeous pin-up girl (who still needs to get a few tattoos applied), she grabbed this outfit, and told me she was so happy I'd bought it for her collection. 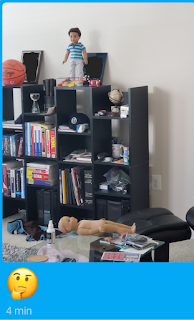 Little does she know, it wasn't intended that way. 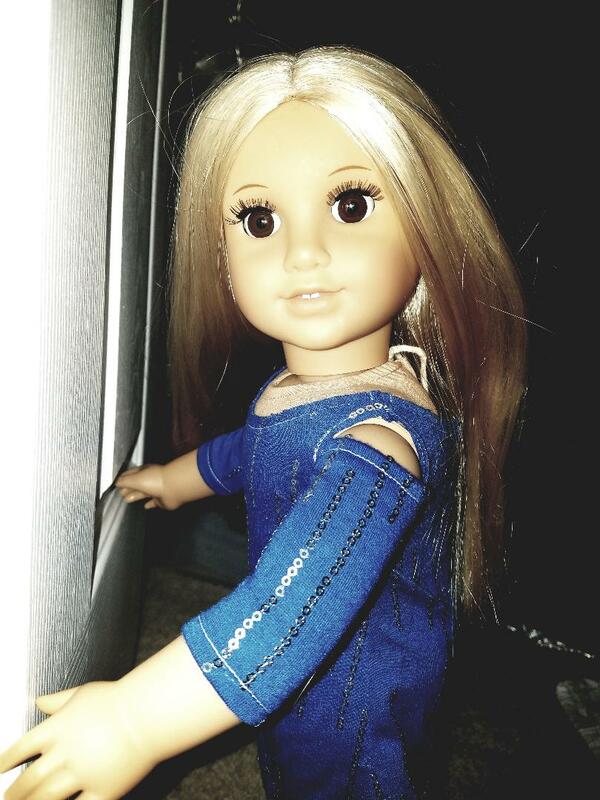 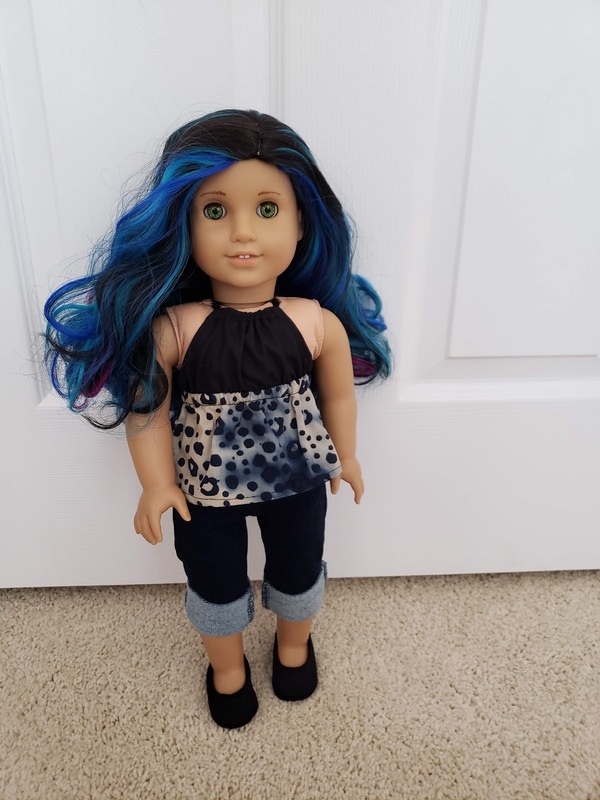 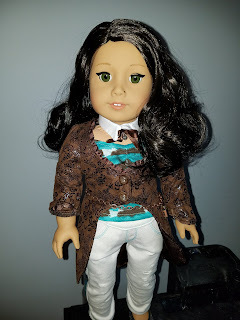 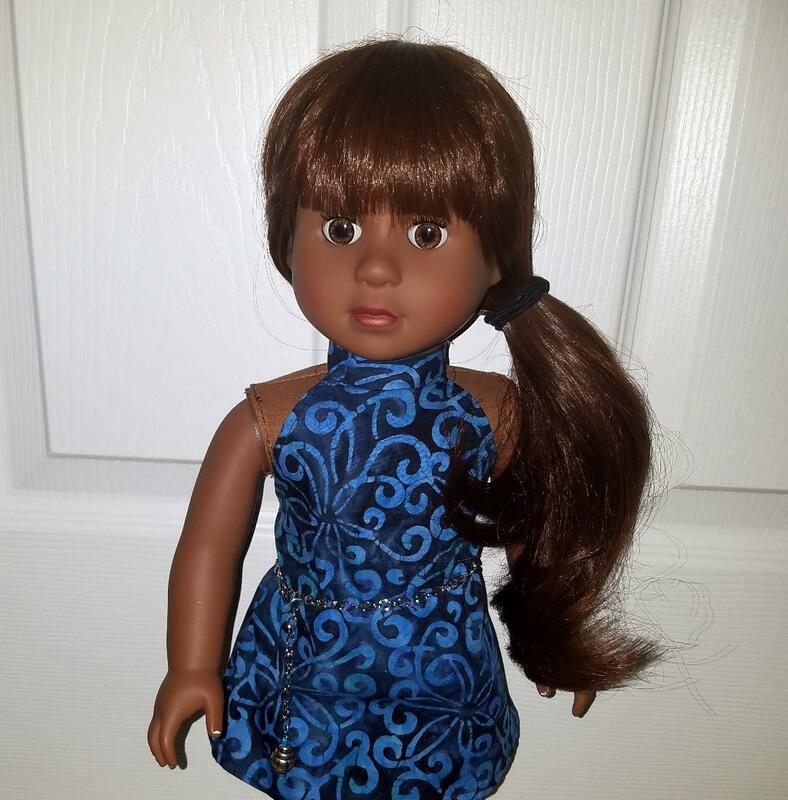 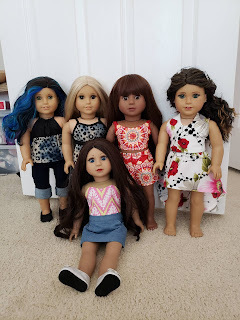 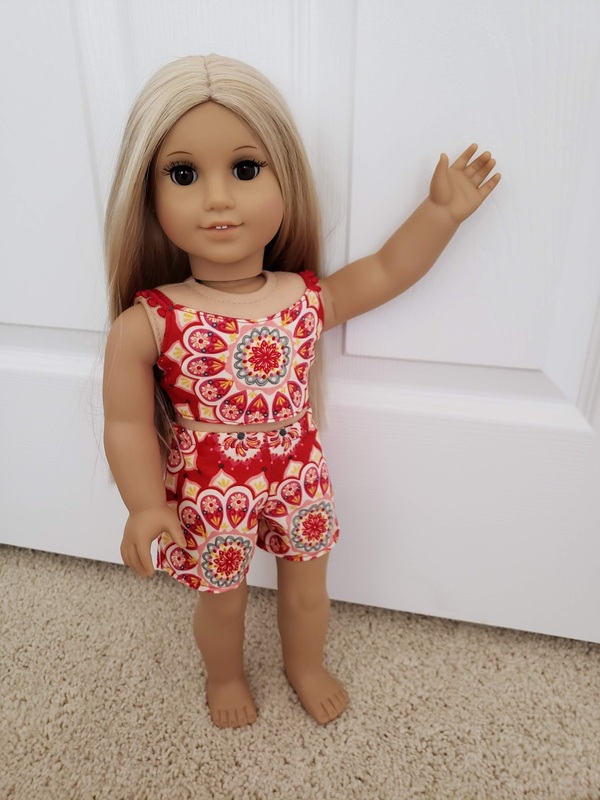 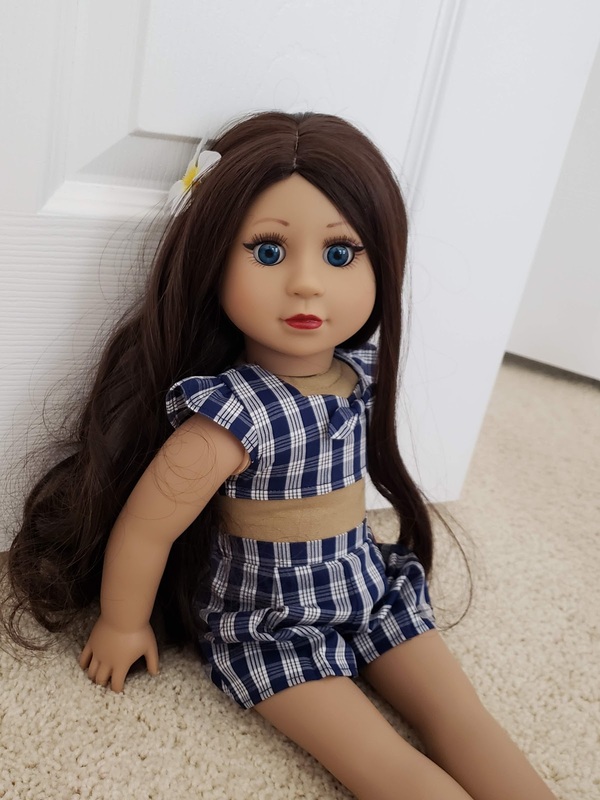 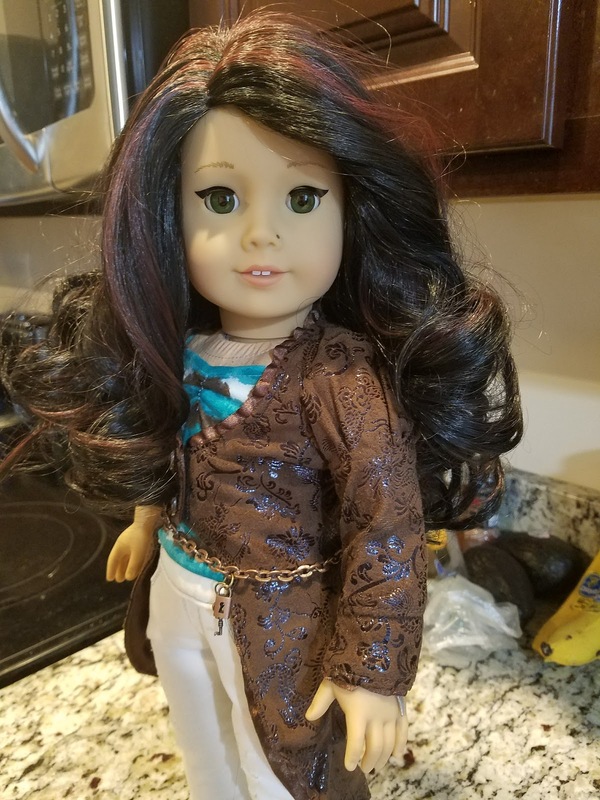 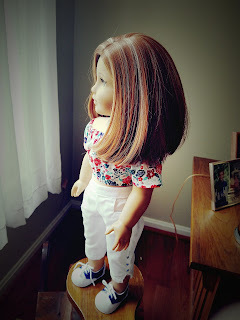 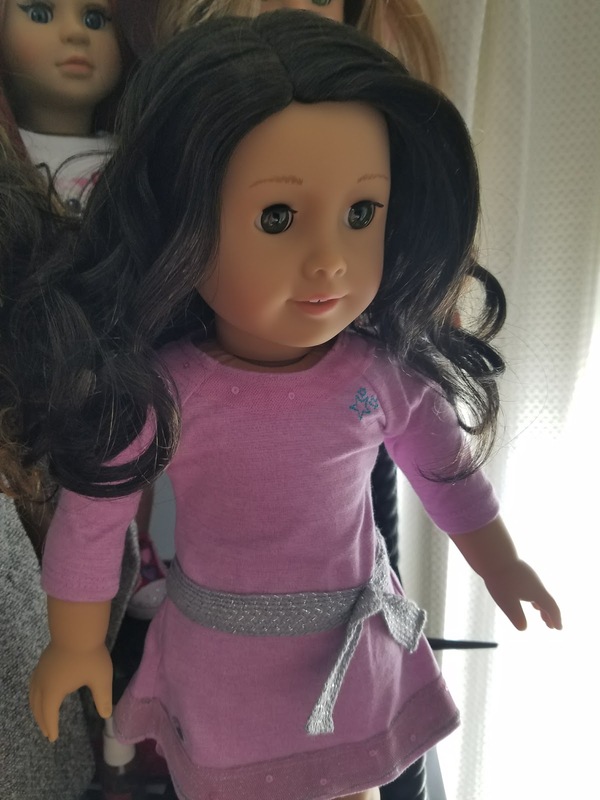 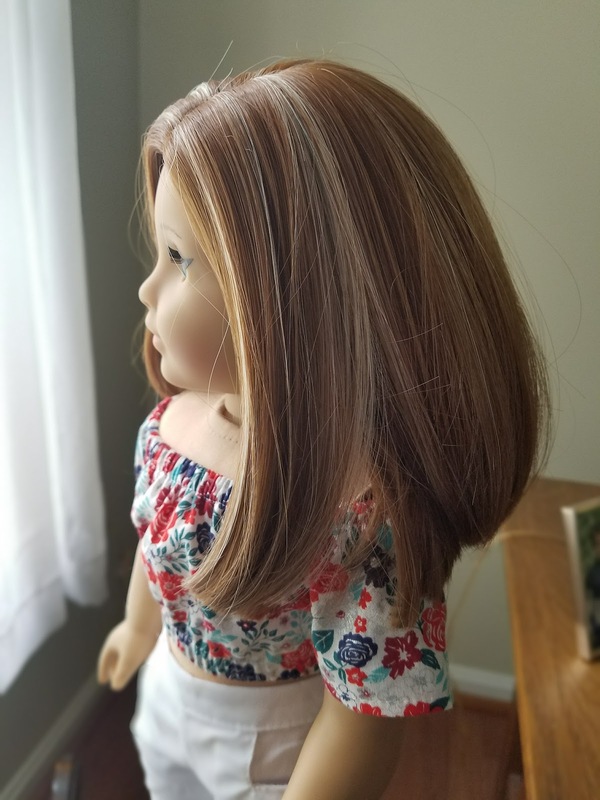 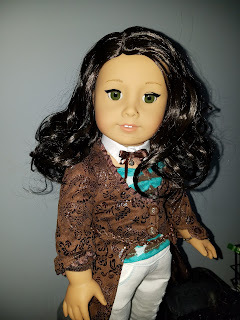 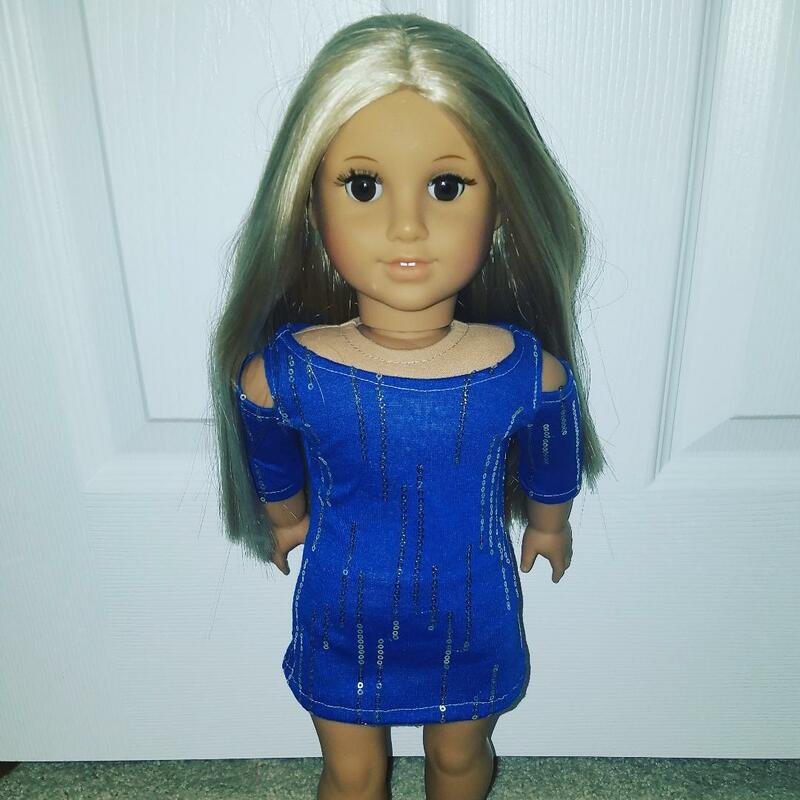 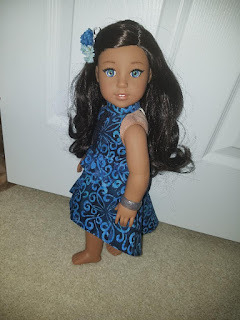 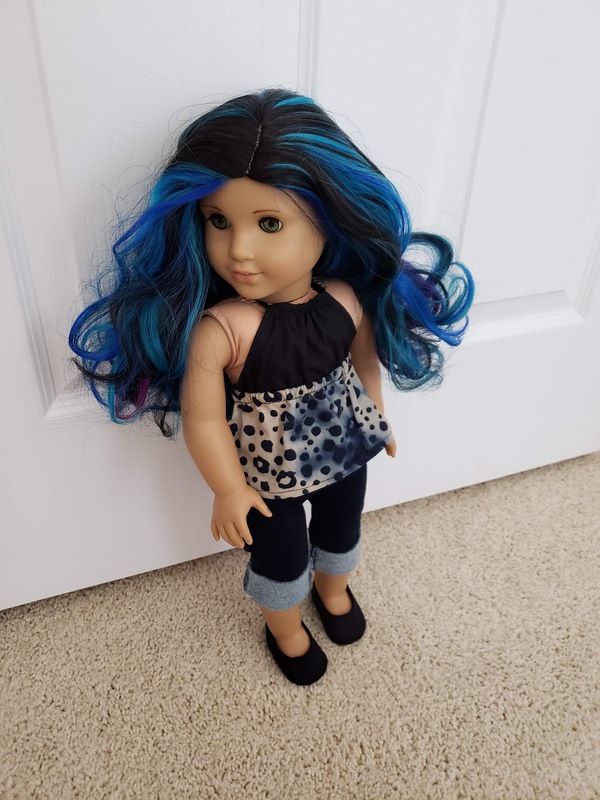 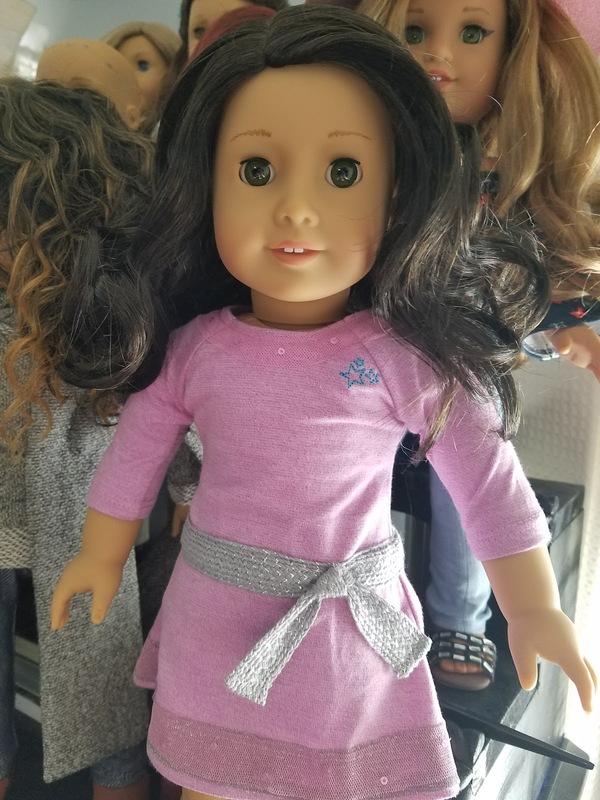 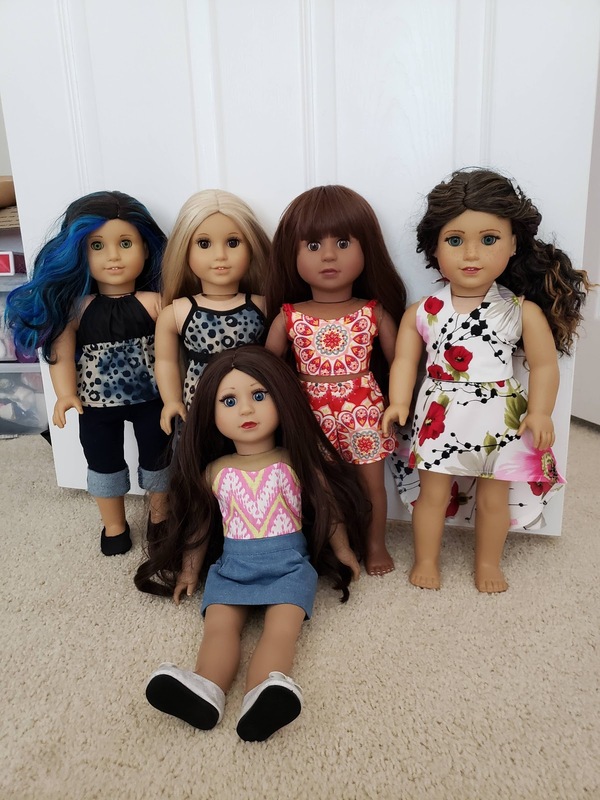 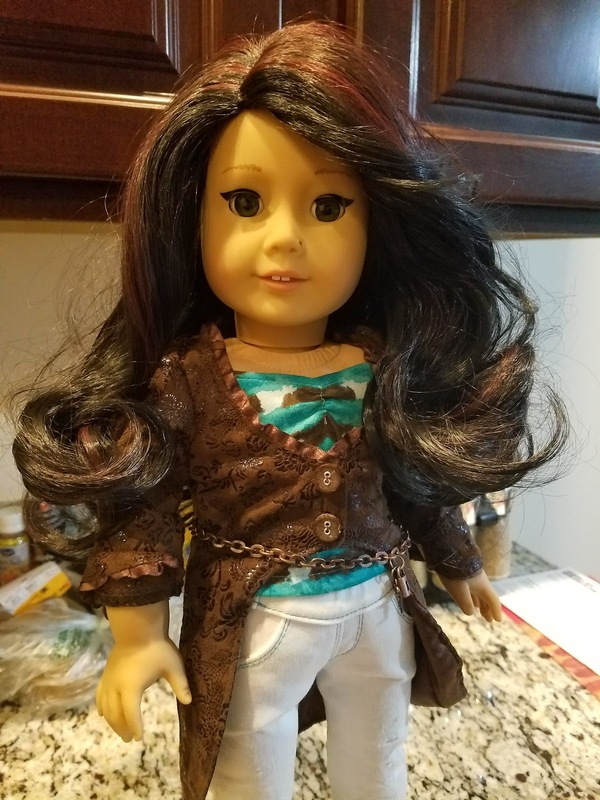 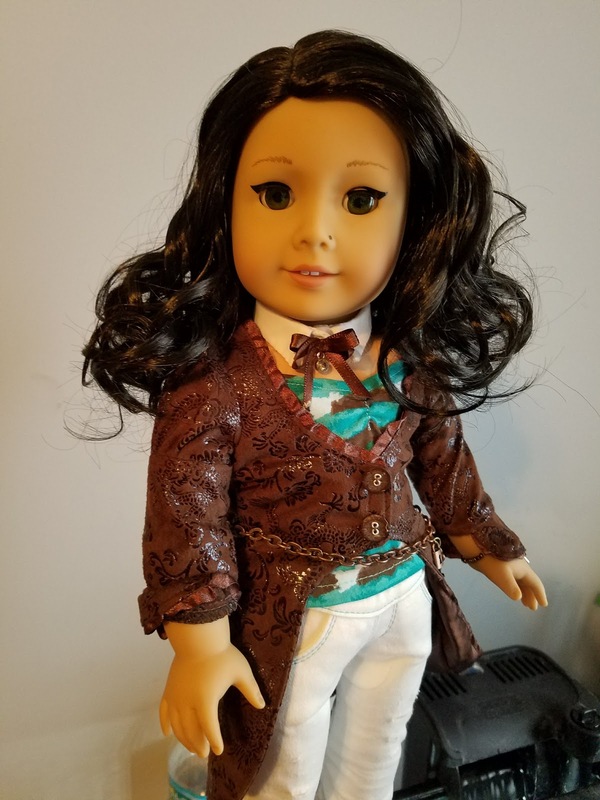 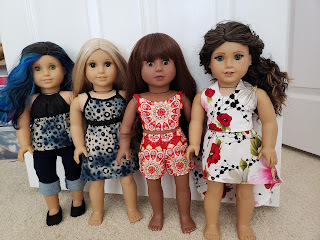 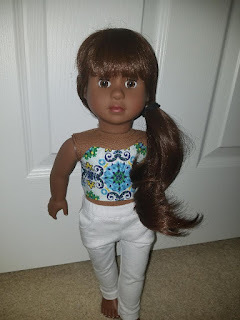 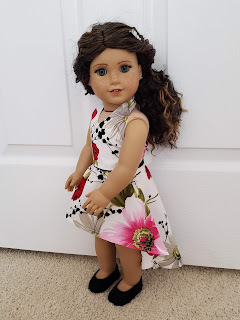 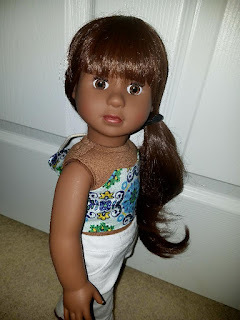 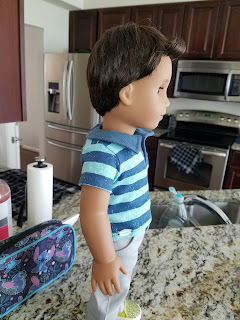 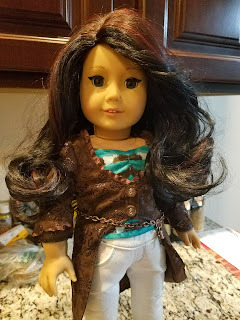 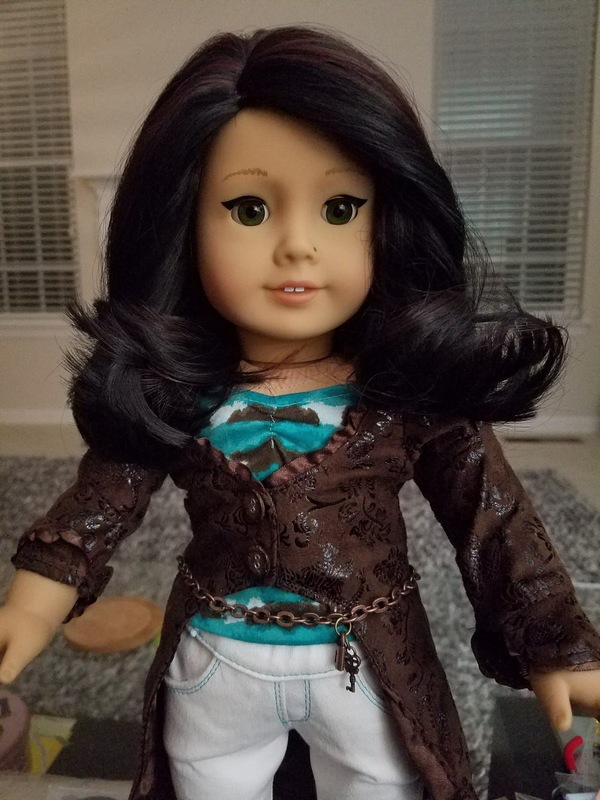 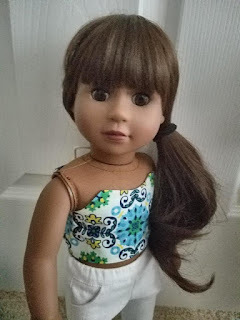 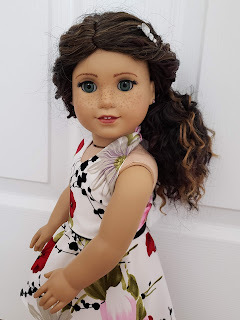 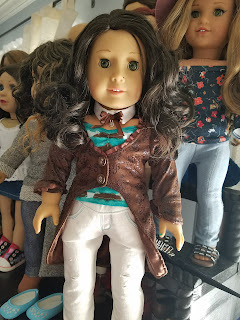 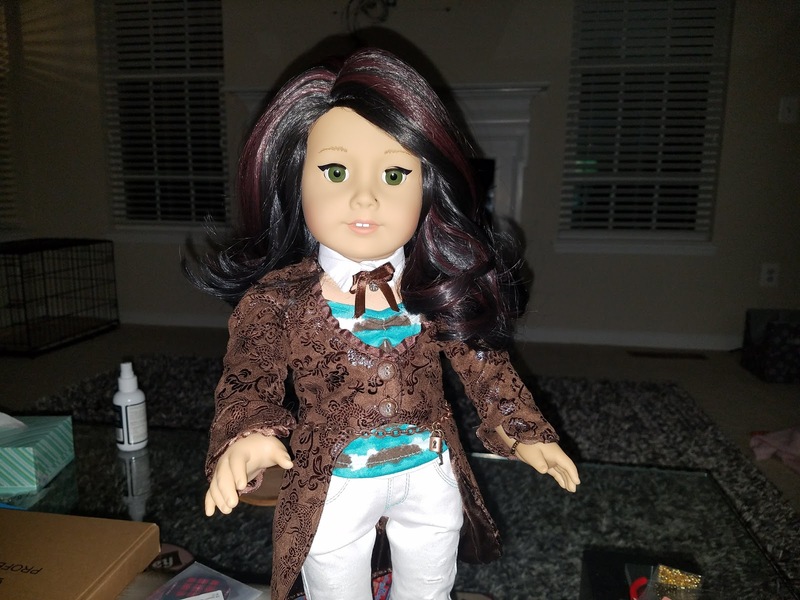 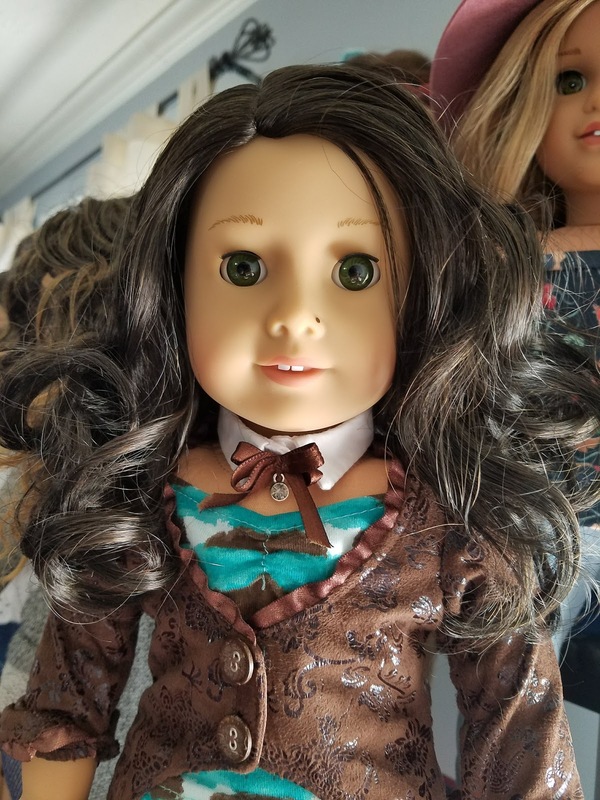 Up next, I have 2 new dolls to show off, as well as outfits from Dollicious Dolls, Elite Doll world, and some of the other things I've been working on lately. 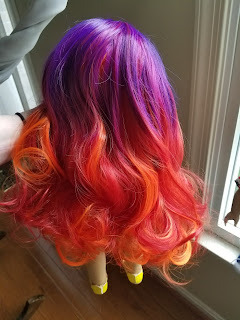 This time was no different! 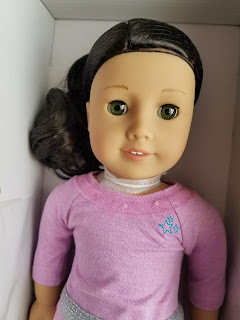 But, I had my eye set on getting either a Logan or a Truly Me #76... the modified Sonali mold won out, once I did a comparison! 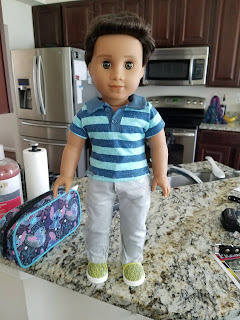 I think I went thru 8 or 9 dolls (which were all I could find of him) before I picked out the guy you see here! 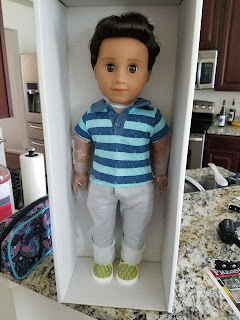 The plastic had a dent in it from traveling around in my car for about a month before I brought him inside. 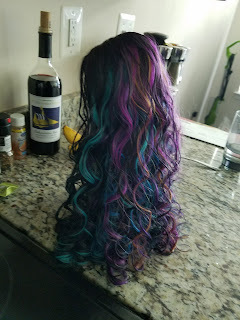 As well as out of it! I love him, he's really cute. He's all ready for his close-up... and a name! I'm thinking Isaac, Blake, Joel, or Silas! What do you think? I found that I love his hair, it makes him look less childish to me. 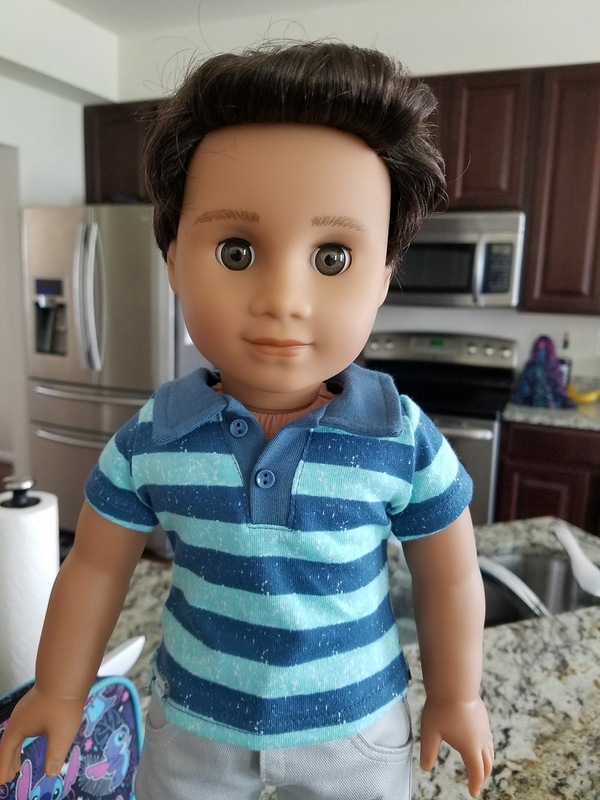 And his eyes are pretty... though they may get swapped out at a later date. I have seen this lovely lady time and again on some of the IG accounts, and every picture of her is stunning. On a whim, I decided to look on E-bay and see if anyone had her... and to my surprise, someone did, NRFB, at a bit cheaper than a new doll in store, complete with shipping! 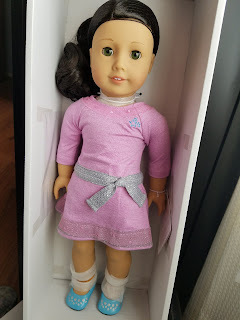 I knew I had to add her to my collection, since she was retired in 2016. She is elegant, and I'm looking forward to getting to know her! 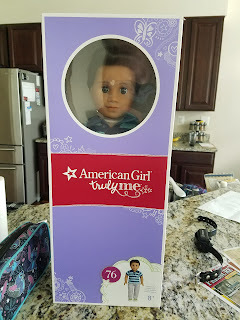 Love that brand-new-doll moment when you haven't unboxed yet... and you know that she's never been opened!! She's adorable! 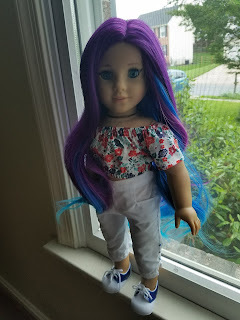 One look at her, and I knew who she was going to be, even if I didn't know her name! She would be my steampunk girl, always ready for adventure, and willing to let her weird flag fly, since Steampunk would be dear to her heart. 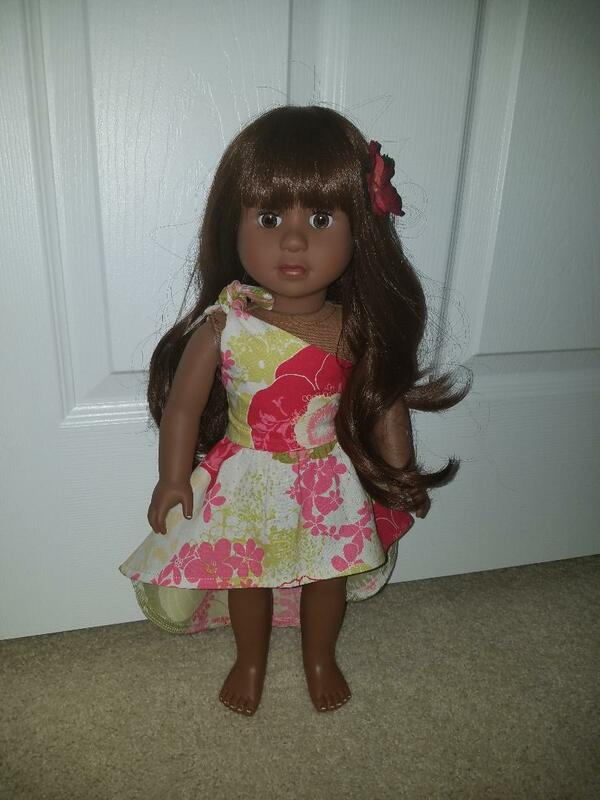 Everyone, please meet Eleanora Jade Bridges! So... after I started working with Eleanora, I noticed that her AG wig was kinda thin and stringy. 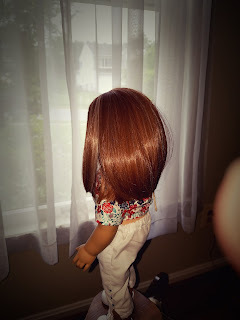 (I could be spoiled by all the secondary market wigs, ESPECIALLY Zazou Doll wigs) But... I figured I could live with it. 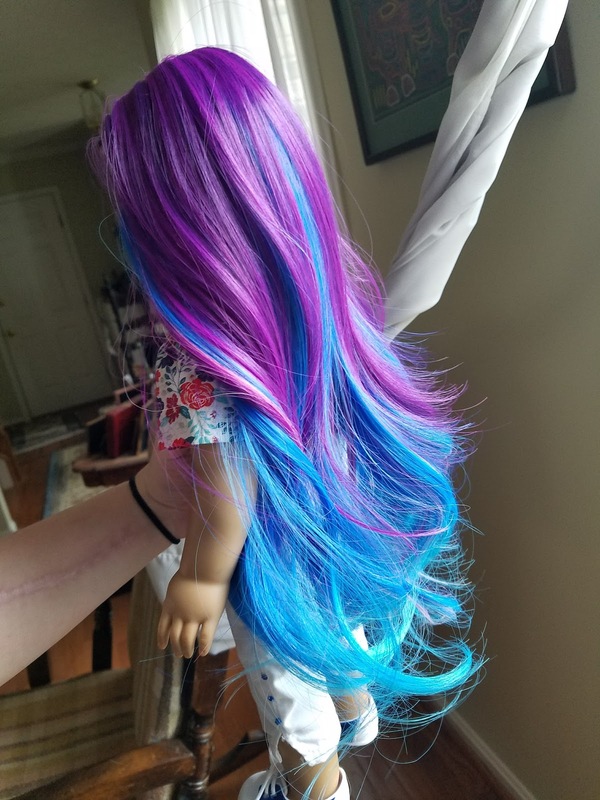 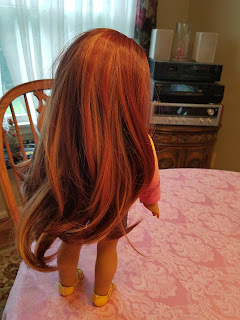 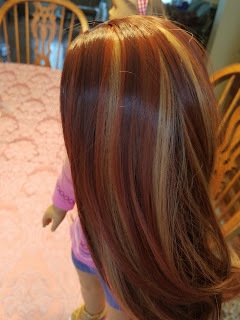 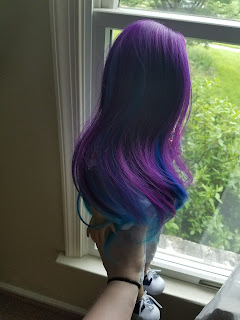 The next week, I stopped over again to add some removable eyeliner from LittleBittyHearts, to punk her up a bit, take more pics, grab more things to bring back to where I am staying, and felt once again that her hair, on the doll that I had to have in my collection was really thin. I was so disappointed. I really love her, connected to her instantly... and yet she's not perfect. 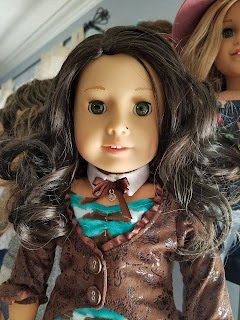 She has a wonky left eye (right in the pictures), and her hair is thin and stringy. Solution? 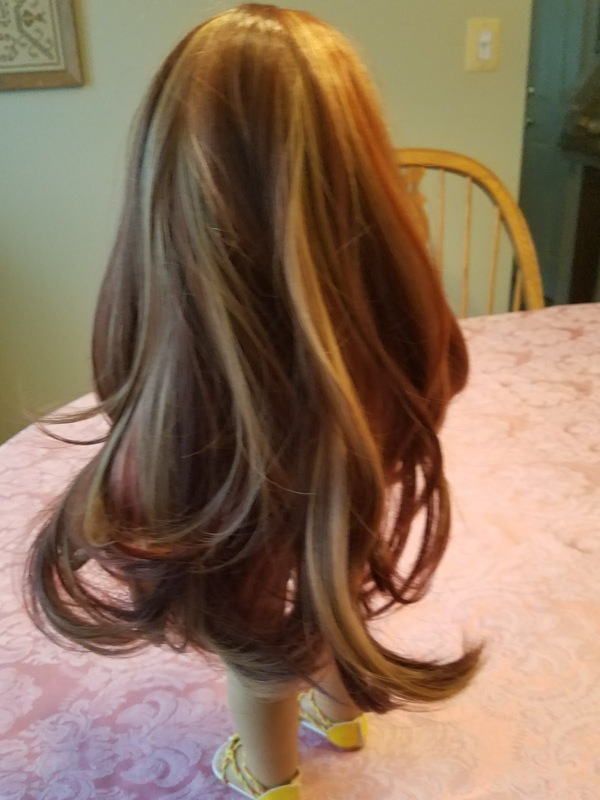 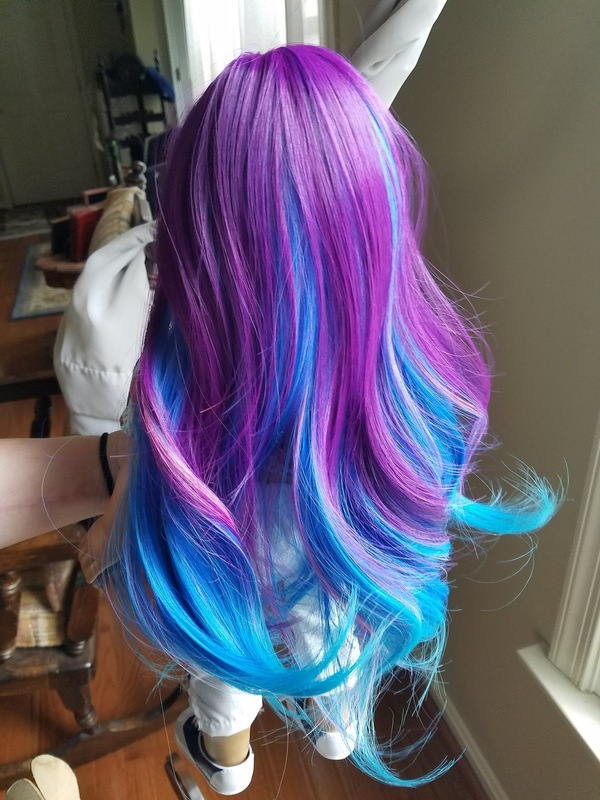 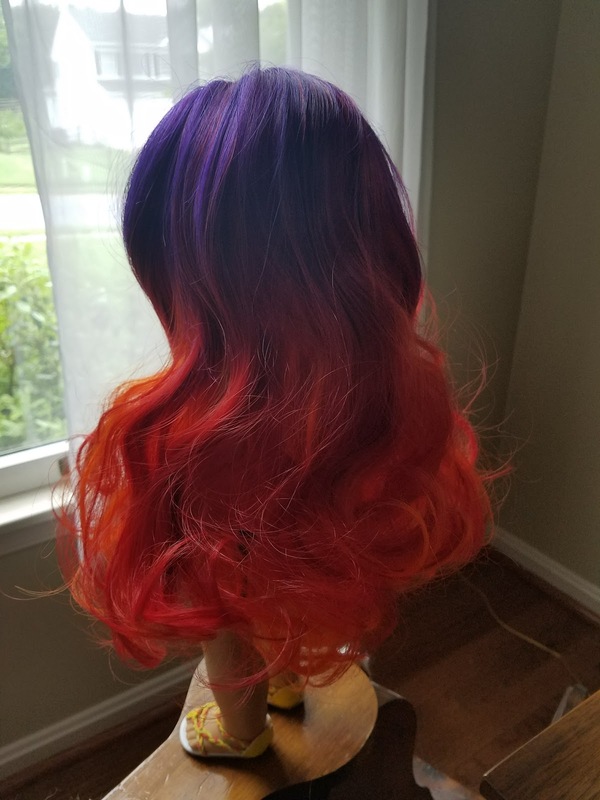 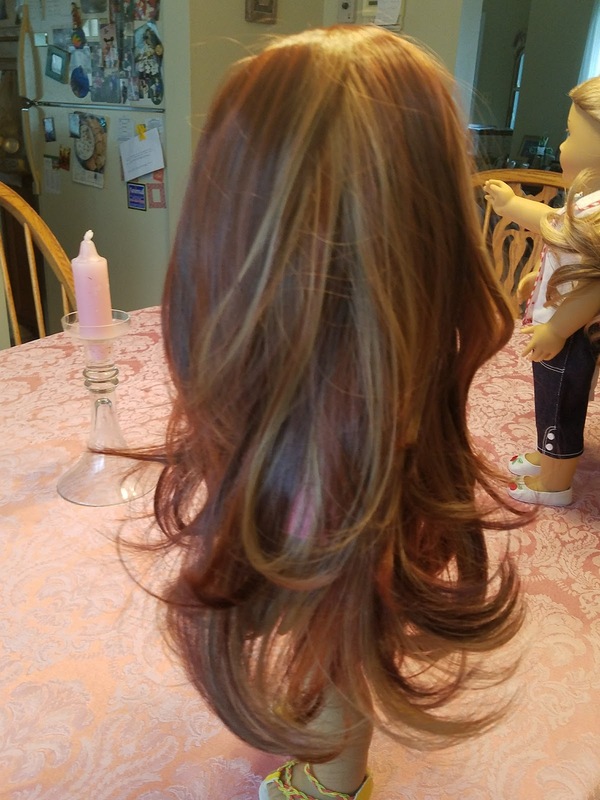 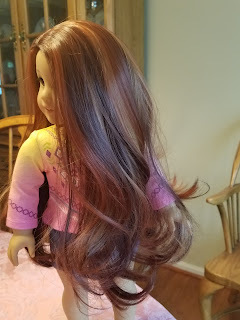 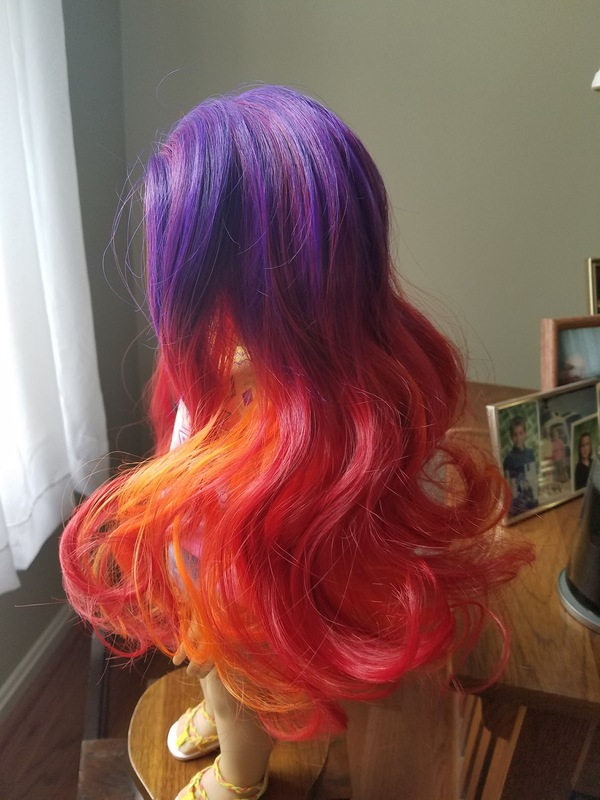 I just bought a replacement wig from ZazouDolls that I feel will fit her, and I'm going to see if I can use a metal nail file tip or tweezers to adjust her eye so that it opens and closes properly. 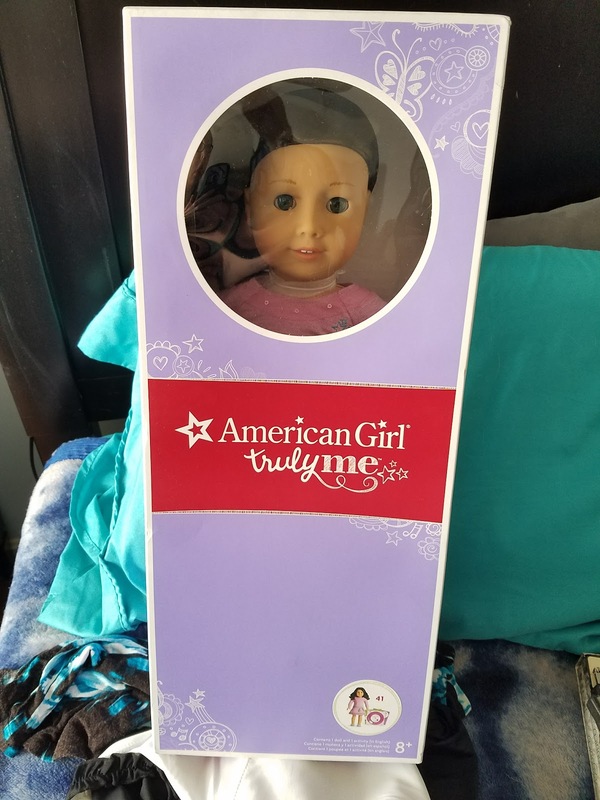 And if it doesn't.... well, you know what, maybe that will be part of her charm! 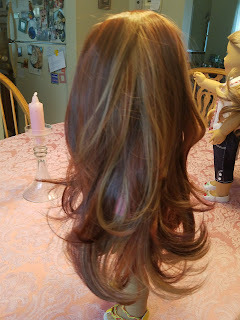 Maybe it will bring her into our century as well, since it has burgundy streaks... once I get it, you can be the judge!